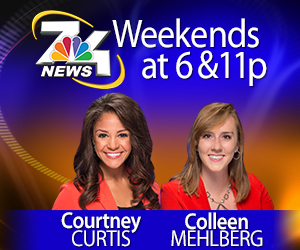 WPBN / WTOM - TV 7 & 4 is the local NBC broadcast station and WGTU / WGTQ 29&8 is the local ABC affiliate. 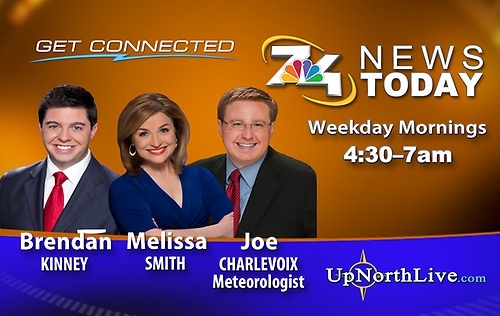 7&4 News Today with Melissa Smith, Tom Kramer and Meteorologist Joe Charlevoix airs weekday mornings from 4:30 a.m. to 7:00 a.m.
Marc Schollett, Kristen Lowe, Chief Meteorologist Mark Watkins and Harrison Beeby anchor 7&4 News at 5, 6 and 11pm. 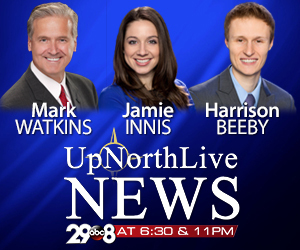 Powered by ABC 29&8 and 7&4 News, UpNorthLive.com provide local news, weather, school closings and the best Deals around. 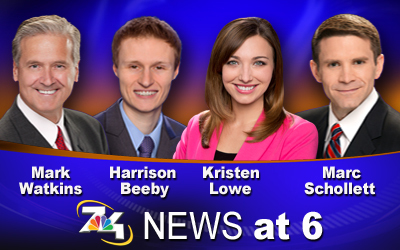 TV 7&4 offers a full service production suite for your advertising needs. Simply contact the Creative Services Department at (231) 995-5811.